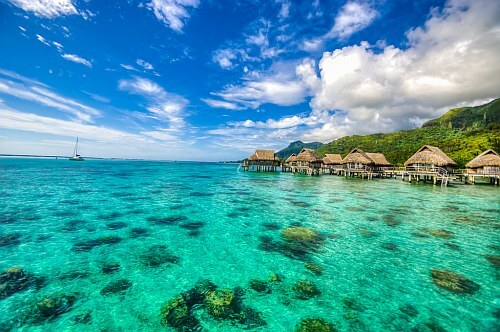 There are a few flights in January 2019 from Vancouver to Papeete, Tahiti for $959 CAD roundtrip including taxes. It's really rare to see a sub-$1000 roundtrip flight from Vancouver (or anywhere in Canada) to Tahitii. This is actually a new record for the cheapest flights from Vancouver. 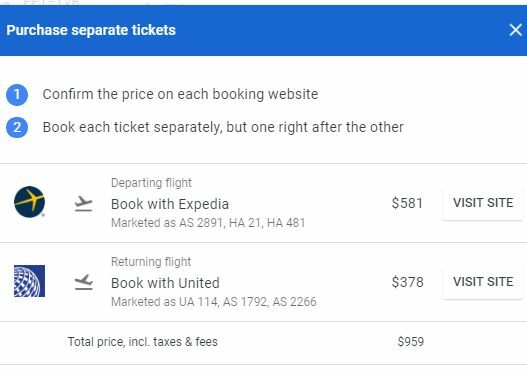 There were a few for $990 roundtrip back in 2017/2018. The best roundtrip prices are generally closer to $1800. 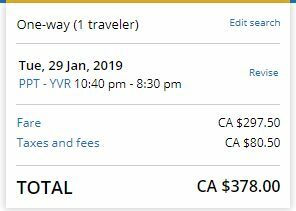 The low price of these flights is largely being made possible by what appears to be some *really* cheap one way flights from Tahiti to Vancouver for just $377. The flight from Vancouver to Tahiti is with Alaska Airlines and Hawaiian Airlines (2 stops: Seattle and Honolulu, Hawaii). The flight from Tahiti to Vancouver is with United Airlines and Alaska Airlines (2 stops: San Francisco and Seattle). NOTE: In order to book this, you need to book 2 separate one way flights. Google Flights will instruct you on how to proceed. vancouver, yvr, flight deals, alaska airlines, united airlines, pacific islands, australasia, oceania, hawaiian airlines, papeete, tahiti, french polynesia and ppt.